TROY, NY – Ahead of Earth Day weekend, Mayor Patrick Madden is encouraging the public to participate in the annual citywide Earth Day neighborhood cleanup program. Scheduled for Saturday, April 20th through Monday, April 22nd, the community event brings together Troy residents, families, and business owners to improve community parks, green spaces and neighborhoods across the city. Interested volunteers can join an existing community cleanup project or create a cleanup group of their own. Earth Day is an annual event held to demonstrate public support for environmental protection and preservation. First launched in the United States in 1970, Earth Day is now celebrated worldwide with more than 193 countries participating. 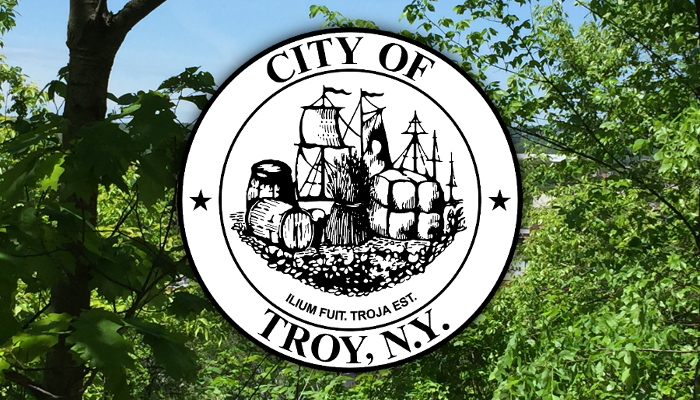 Each year, the City of Troy sponsors a citywide cleanup event coinciding with Earth Day. The cleanup includes partnerships with local organizations and neighborhood groups to maximize the impact on the community and promote the principles of Earth Day. This year, the City of Troy is partnering with three schools from Lansingburgh Central School District (Rensselaer Park Elementary, Turnpike Elementary and Knickerbacker Middle School) for a special bag decorating program. Paper bags provided by Hannaford Supermarket will be decorated by students for distribution to customers at Hannaford’s Lansingburgh neighborhood location.